How do I Choose the Best Hammock Beds? Hammock beds intended for outdoor use should be made of durable materials. When choosing a hammock bed, make sure it is wide enough to sleep in comfortably. Hammocks can be purchased in a single, a queen size, a king size and a super king size. Most hammock manufacturers provide hammocks in a variety of price ranges. Those who are shopping for hammock beds should start be determining where the bed will be used. In addition, considering the ideal size of the hammock and evaluating its comfort levels are important steps. Before making a final purchase, customers should set a price range, and be sure to stay within it, in order to prevent headaches down the road. When it comes to purchasing hammock beds, it is important for customers to first consider where the hammock will be used. This will aid in determining what type of material the hammock should be made from. In most cases, hammock beds that are intended for outdoor use fare best when made from polyester, nylon, or other man-made materials. These materials are relatively durable and can stand up well to a number of weather conditions. In contrast, a cotton hammock bed will be better for indoor use. 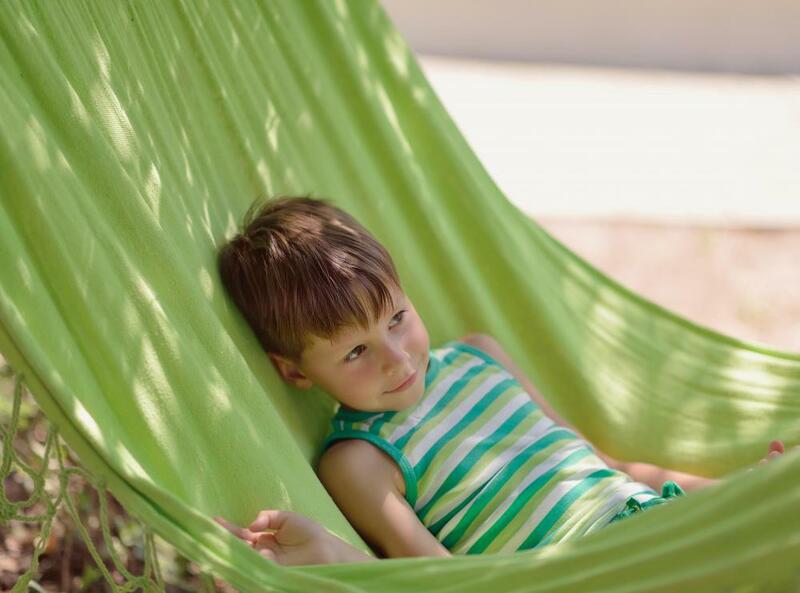 Though softer than nylon or polyester hammocks, they are much more susceptible to mold and mildew growth. It is also important to determine how large the hammock bed should be. Typically, hammocks that are at least 60 inches (152.4 centimeters) wide and 84 inches (213.6 centimeters) long are best for hammocks intended for multiple seating, while hammocks that are at least 45 inches (114.3 centimeters) wide and 76 inches (193 centimeters) long can comfortably seat a single person. In addition, the average weight of the individual or individuals using the hammock should be considered. Most hammock manufacturers provide information on the average amount of weight that a hammock bed can hold. 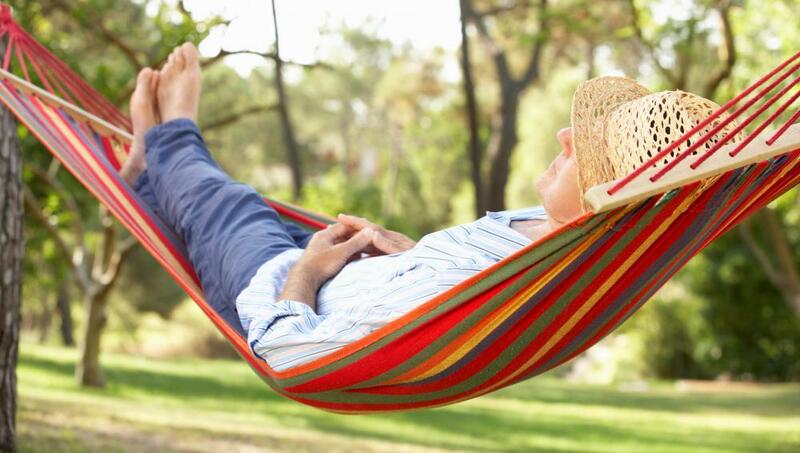 This information can typically be found on hammock packaging, though in some cases customers may need to contact manufacturers directly in order to obtain this information. Those purchasing hammock beds should evaluate the comfort level of the item before making a final purchase. Though a particular size and style of hammock bed may seem right on paper, it is still important to actually sit or lie in it in order to determine the best size. Though it may take a significant period of time, customers should try out a number of beds. Cost should also be considered when selecting hammock beds. Depending on the size of the bed, the weight it can hold, and the material from which it is made, product cost can vary substantially. Customers should set a budget and remain within it. Most hammock manufacturers provide hammocks in a variety of price ranges. What Is a Hanging Chair Hammock? How do I Choose the Best Double Hammock? How do I Choose the Best Net Hammock? How do I Choose the Best Tree Hammock? How do I Choose the Best Indoor Hammock? How do I Choose the Best Baby Hammock? Thank you for the information. I'm getting one for my b-day and I wasn't sure. Now all you need to add is how much would it cost.